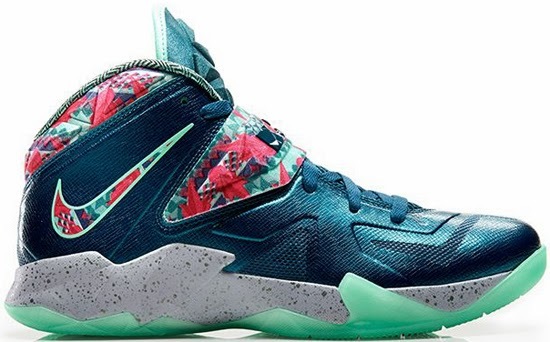 This colorway of the Soldier VII pays tribute to LeBron James recently tying the knot. Known as the "Power Couple" edition, this Nike Zoom Soldier VII comes in a dark sea, pink foil, green glow and wolf grey colorway. 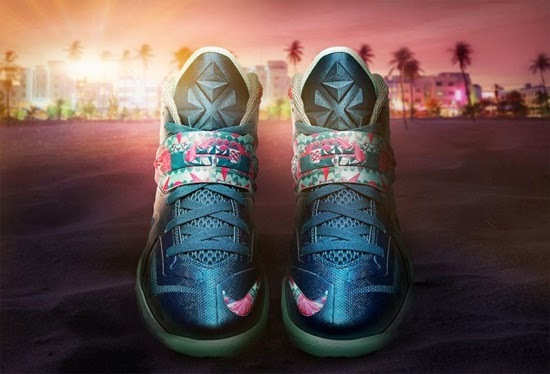 Inspired by LeBron and Savanah’s recent marriage, this pair was designed to celebrate true Miami Royalty. Taking art deco design straight from South Beach and delivering it to the Swoosh on the sides, mid-foot strap and wrapping around the heel collar. 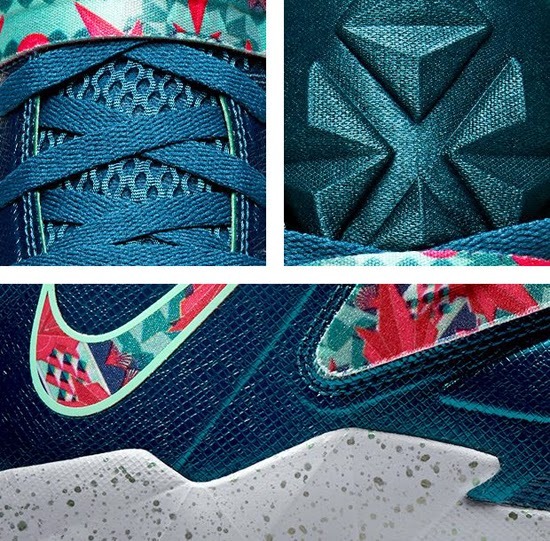 A limited release, look out for these at select Nike accounts worldwide on Saturday, October 19th, 2013. 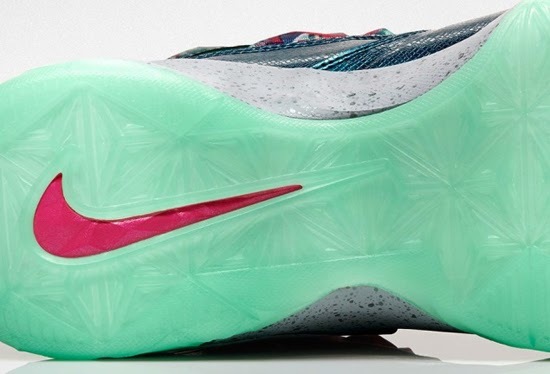 Retail is set at, $125. 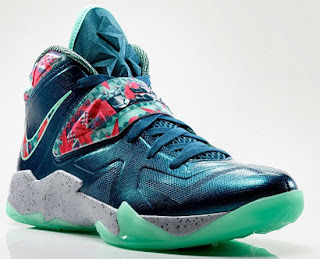 Enjoy the official images below of the "Power Couple" Nike Zoom Soldier VII in dark sea, pink foil, green glow and wolf grey. If you're interested in picking these up when they release, check in with your local spots to see if they will be receiving them. Those of you looking for a pair now can, grab them from eBay here.